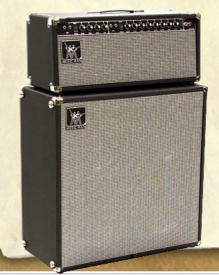 HD 130 Reverb, Hybrid Guitar Amp Head from Music Man. If you go to Musikmesse next week, you will see the reissue of the iconic Music Man amps, designed in collaboration with MarkBass. 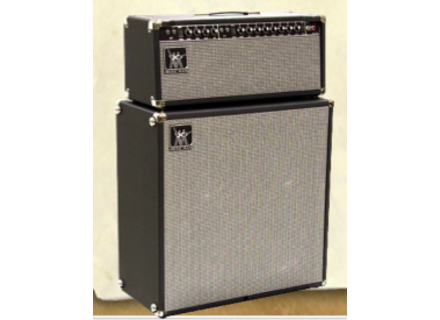 The idea came from Marco De Virgiliis from Markbass who contacted Sterling Ball to recreate the amps designed by Tommy Walker during the “pre-BCS” Fender era (remember Eric Clapton or Albert Lee’s amps at that time?). HD 130 Reverb: 130W, 2 channel head, each with volume and 3-band EQ, channel 2 also features a reverb and a tremolo, while the master is shared. 4x EL34 valves are used on this model. 112 RD 50: 50W combo, 2 channels, each with dedicated volume and 2-band EQ, gain on channel 2, spring reverb, one ECC83 and two 6L6. The speaker is a 12” DV Mark Neoclassic . No information regarding the pricing of this new series, the amps are not referenced on the website yet. [Musikmesse] Taurus introduces the Stomp Head 2 Stomp Head 1, 3 and 4, isn’t something missing on the list? Right, Stomp Head 2, and it will be introduced next week by Taurus at Musikmesse. [Musikmesse] Schertler amps for electric models Schertler will introduce at Musikmesse next week its first amps for electric bass and guitar, respectively the Bass Fidelity Series and Charlie. Yamaha F370 Review We took this new, inexpensive dreadnaught from Yamaha for a test drive. Here's what we found.